Joint mobilization is an applied passive force to move a joint in a desired direction. It is usually used to improve motion and normalize joint function. Any joint that is lacking proper motion may be mobilized. It can be used on all regions of the spine, pelvis, and extremities (shoulder, wrist, hand, hip, knee, foot and ankle). Spinal manipulation is used to restore joint mobility by manually applying a controlled force into joints that have become hypo-mobile or restricted in their movement sometimes as a result of tissue damage. 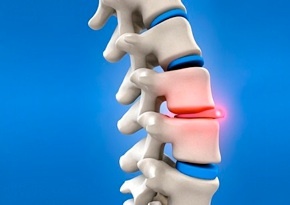 Tissue injury can be caused by a single traumatic event, such as improper lifting of a heavy object, or through repetitive stresses, such as sitting in an awkward position with poor spinal posture for an extended period of time. In either case, injured tissues undergo physical and chemical changes that can cause inflammation, pain, and diminished function for the sufferer. Manipulation, or adjustment of the affected joint and tissues, restores mobility, thereby alleviating pain and muscle tightness, and allowing tissues to heal. What Benefits Are Derived From Joint Mobilization and Manipulation? The McKenzie Method, also known as mechanical diagnosis and therapy (MDT), is an alternative modality in which the practitioner assists a patient in learning exercises that alleviate pain originating from the spine. The McKenzie Method may also be helpful for individuals who experience pain in parts of their body other than their spine, such as in the neck, buttocks, or back. Myofascial release is a form of soft tissue therapy intended for pain relief, increasing range of motion and balancing the body. Techniques include manual massage for stretching the fascia and releasing bonds between fascia, integument, muscles, and bones are applied. The fascia is manipulated, directly or indirectly, supposedly to allow the connective tissue fibers to reorganize themselves in a more flexible, functional fashion. These include both Ultrasound and Electrical Muscle Stimulation. Both modalities are used to improve tissue healing and speed recovery. Ultrasound emits sound waves that warm up the tissues and increase blood flow to the area of complaint whereas electrical stimulation can decreases muscle spasm and help to relieve pain. Rehabilitative exercises are used to target specific areas to improve strength, endurance and decrease levels of pain. The prescribed program will also attempt to decrease the recurrence of future episodes and should limit the amount of recovery time. 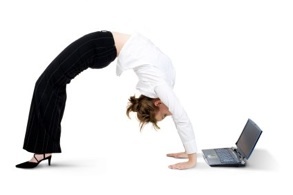 All patients are given recommendations on lifestyle modifications, ergonomic corrections and postural corrections. The main goal of our health environment is to encourage the patient to achieve independence from care thus limiting their out of pocket expense.